Musician, Singer, Composer and Ethnomusicology PhD student specialising in Traditional Music from England, Ireland, Asturias and beyond. Dad of two and a husband. At the beginning of November I gave my wedding speech in the upper gallery at Kelham Island Museum in Sheffield. Our wedding day fell on the feast of Diwali, the Hindu festival of lights. At the end of my speech I looked out on to the candlelit guests spread across the large yellow brick Victorian hall. I told the story of Diwali, the lights being lit to guide Rama and Sita home from exile and I asked all those there to be lights guiding my family on our way through life. Over the last few weeks I felt I needed some of that light and guidance. My world had become so busy. Applying for PhD’s, job hunting and maybe not succeeding, preparing for baby number 2, learning new band tunes and generally trying to be a good husband and father. I started to feel that I was making no progress and my dream of making music a central part of my life was slipping away. My head felt foggy with no clear path to follow. Feeling wiped of all energy I mindlessly noodled around the internet and came across a TED talk by Eric Whitacre. Eric is one of the most successful living choral composers and many will have come across his virtual choir works. He has sold millions of albums and won several Grammy’s. His compositions are aurally and visually breathtaking, but what caught my imagination was his journey into music. He had little music education and was unable to read music when he joined the choir at the University of Nevada. He talks about singing a Mozart piece for the first time and it being like switching from black and white to technicolour. His light bulb moment encouraged me to consider mine, hearing the Asturian group Tejedor for the first time and the subsequent adventures my love for Asturian music has taken me on. This morning I put a Tejedor CD on and sounds and smells and sights of Asturias came back to me. It reminded me of meeting great musicians there and my friends playing a Tejedor muiñeira at our wedding. It made me smile and lifted my shoulders up straight. The room felt full of light and the fog began to clear. If Eric can start his musical journey without any formal education and get to where he wanted then why can’t I? Thanks for inspiring me Eric Whitacre, I think I will go and play some flute. Tell me about your ‘light-bulb’ moments and music that you love. 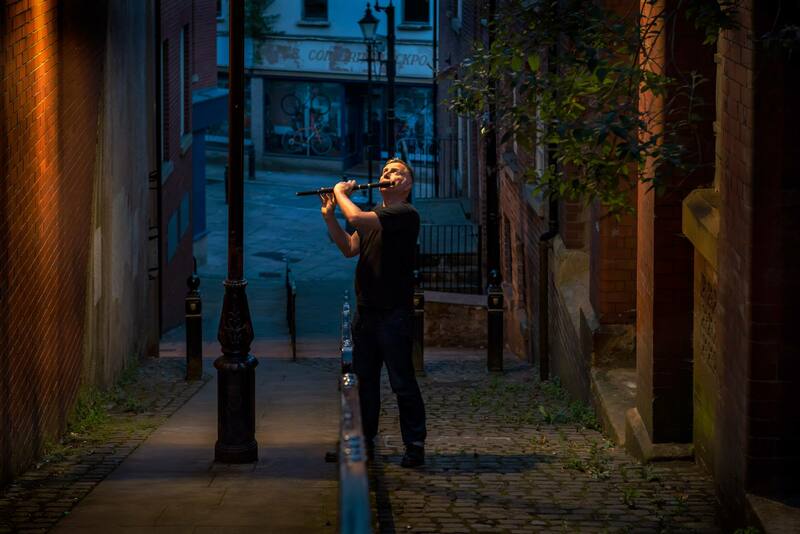 Book a Flute or Whistle lesson with me. Next PostNext Trains, Trains and Automobiles… Travelling to Asturias.